A close-up look at NYC education policy, politics,and the people who have been, are now, or will be affected by acts of corruption and fraud. ATR CONNECT assists individuals who suddenly find themselves in the ATR ("Absent Teacher Reserve") pool and are the "new" rubber roomers, and re-assigned. The terms "rubber room" and "ATR" mean that you or any person has been targeted for removal from your job. A "Rubber Room" is not a place, but a process. Chancellor Farina must be fired, along with Santi..
NEW YORK (CBSNewYork) — The principal of a failing Bronx school was under investigation Monday night on allegations of grade fixing – changing scores so more students would pass. As CBS2 Political Reporter Marcia Kramer reported, the mayor is vowing “serious consequences” for any wrongdoing. DeWitt Clinton HS at 100 W. Mosholu Pkwy. South in the Bedford Park section of the Bronx, is a struggling school. Low attendance and a graduation rate of just 45 percent put it on the endangered list. But now, principal Santiago Taveras has come under investigation in the grade-fixing scandal – and it happens that Taveras is a former deputy chancellor in the city Department of Education. His job was to close failing schools. The investigations surrounding Taveras now alleges that he changed failing grades to passing grades without teachers’ consent. For example, a senior who got a “no-show” grade in global history reportedly got it changed to a 75. Another student’s 55 in English was reportedly changed to a 90, and a failing algebra grade of 55 was reportedly changed to a passing 65. Other grade-fixing scandals, such as that at John Dewey High School in Brooklyn, were reported by teachers. In this case, the city Department of Education discovered the problem itself. 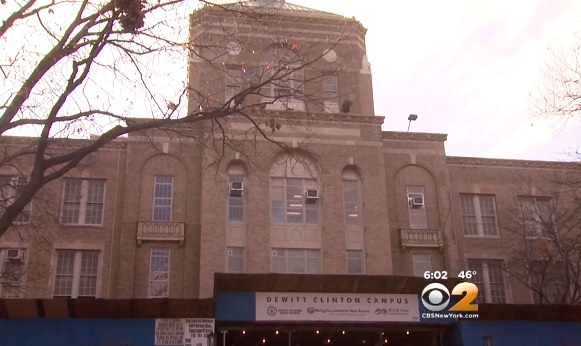 Students at Dewitt Clinton, part of the Department of Education renewal program for failing schools, were outraged. The principal reportedly urged teachers to raise their pass rates to 80 percent. Devora Kaye, a spokeswoman for schools Chancellor Carmen Fariña, said that when Department of Education staffers “identified possible improprieties” at the school, the issues were immediately reported to prosecutors for investigation. We are experts in winning 3020-a arbitration for Respondents charged with either incompetency or misconduct. We have won more than 40 cases, including 7 complete exonerations. I just wanted to reach out and say thank you for CONSTANTLY being there for me throughout such a tumultuous time in my life. I have been battling severe harassment at my place of work for months now, and you have advised me through every single second of it. I would not have had the strength or confidence to battle such an evil administration without your help. You have answered my phone calls from 7AM through nearly midnight with any and all of my concerns. I have called you countless times to just vent, or even cry, and you have been there with open arms to pivot my negative anticipations into positive advocacy. You have gone above and beyond your line of duty to help me, and for that, I can never repay you. You have changed the outcome of my life, and led me to justice. More importantly, you have led me to happiness again, for which I am eternally grateful. As I am getting older, I am realizing that there are many bad people in this world, but you are TRULY one of the good ones. When one finds a great person in life with their true best interest at heart, they should hold onto that and take their word as bond. My last statement truly defines you, an expert in what you do, as well as a 24 hour support system. You are amazing Betsy, and my life would truly not be the same if you had not stepped into it!!!!! Thank you again for EVERYTHING you have done for me. Your advisement and care will be carried in my heart for the rest of my life. After 18 years of service, the general consensus as a union member is that you cannot trust people and you have to be extremely careful who you talk to. I was brought up being told that I should be sure that the person I am speaking to is knowledgeable and to be TRUSTED, and Betsy Combier is such a person. She consistently proves that she is trustworthy, very knowledgeable and caring, time and time again. To whom this may concern, I want to recommend Betsy Combier as the best person you could have in your corner. From the first day I met Betsy I felt secure. I had the misfortune of having to go through a 3020a hearing and with help of Ms. Combier my job was secure, I don’t know where I would be without Betsy’s help and support. She is still assisting me with my federal case. I could not recommend Betsy any higher, she is a person of her word, and her expertise is important and necessary for everyone without any problem. David P.
I met Betsy Combier approximately about 5 years ago, as a result of a recommendation from a colleague. Since then she has been an advocate of mine ever since, and has worked above and beyond my expectation. Betsy fights against the wrongdoing of public education officials in New York City. Throughout the extremely difficult arbitration, Betsy fought for my unalienable rights, even though my former principal did everything in her power to tarnish my name and damage my career. Betsy is not an attorney yet she has the experience and knowledge that is above and beyond that of an attorney and follows through on all issues. She is truly an angel from heaven above, and a quality public defender. I was charged with a 3020A in October 2016 after receiving three developing ratings in a row. I called numerous law firms as well as my union. Most people who I talked to said that I should settle because I was fighting a losing battle. A lawyer told me that anyone that says you can win a 3020A is a liar. I heard about Betsy from a teacher placed in my building who was going through the 3020A process. I hired Betsy and one of the Attorneys who works with her and her company, and won my case! Betsy saved my job and saved my life because she was emotionally supportive at a time when I needed it the most. Betsy goes above and beyond for her clients. She is readily available day and night for her clients. Betsy’s knowledge of education law is exceptional and she was a great help to my attorney. Betsy is relentless and fights hard for her clients. I assist anyone who needs help, so email me your problem to start the ball rolling! I am a teacher/parent advocate, and I am the editor/writer for this blog and the website parentadvocates.org. I also write about court corruption on my blog "NYC Court Corruption". I am interested in random injustice and the criminalizing of innocent people. If you want to chat you may email me at: betsy.combier@gmail.com and I'm on twitter and have a facebook page too. I'm not an attorney and do not give legal advice. If you want to talk with me about your 3020-a charges, I consult and go over your case without charge. No fee. And, in response to the lies of certain individuals who resent my work, the truth is that all conversations are confidential and I do not tape secretly. "From Justice, as a fountain, all rights flow"
What Does "Indemnification" of School Administrators Mean? The 3020-a Arbitration Newswire: Changing "Rules"
Dennis Walcott's Speech on "Ending Just Cause at 3020-a"
The "Who Are You Kidding Award"
Teacher Discipline and "Immoral" Conduct Outside of The Classroom - Where Do School Authorities Draw The Line? "Educating the mind without educating the heart is no education at all." The E-Accountability Foundation brings you this blog which highlights issues that have or should be read by people interested in civil rights, and accountability. The E-Accountability Foundation is a 501(C)3 organization that holds people accountable for their actions online and, through the internet, seeks to bring justice to anyone who has been harmed without reason. We give the 'A for Accountability' Award to those who are willing to blow the whistle on unjust, misleading, or false actions and claims of the politico-educational complex in order to bring about educational reform in favor of children of all races, intellectual ability and economic status. "Performance Management" on how to get rid of an incompetent teacher. Who is an "incompetent teacher"? Anyone the NYC Department of Education wants to remove from the system because he/she is too senior (makes too much money), is disabled (and therefore cannot be deemed factory-perfect) and/or is other impaired (is a whistleblower, cannot be intimidated, is ethnically challenged - not the 'right' race, etc). The word "rubberization" is a new word that is used to describe the process of assigning and paying people to sit and do nothing in a drab room away from their place of employment while their employers make up charges that allege sexual or corporal misconduct without any facts upon which to base the allegation on. Why don't the UFT reps and the NYC DOE call me back? Tenured Teachers who are found to be guilty of misconduct or incompetency at 3020-a but are not terminated, who have blown the whistle on the misconduct of politically favored NYC Department of Education employees, and/or who are simply disliked for any reason can suddenly find themselves in the ATR ("Absent Teacher Reserve") pool - employees without rights or voices, and without chapter leader union representation. This new group of people are the "new" rubber roomers without representation at the UFT and denied the protection of the Collective Bargaining Agreement, because basically they have been pushed out of their jobs unfairly and under color of law by Mayor Bloomberg and the Chief Executives of the Department of Education who call themselves "Chancellors", "Network Leaders", "Superintendents", etc., consistently without any facts or evidence to support the false claims. A group of teachers who are, or were, made into ATRs, ATR Polo Colon, and I, Betsy Combier, an advocate for transparency and labor/employment rights, have joined together to expose the denial of due process, civil and human rights by chiefs of the NYC Department of Education (NYC DOE), certain arbitrators at 3020-a, leaders of the United Federation of Teachers (UFT), the "investigators" -agents who work for the Special Commissioner of Investigation (SCI), Office of Special Investigation (OSI), and the Office of Equal Opportunity (OEO) - and the Attorneys who work for the New York United Teachers (NYSUT), and the New York Law Department (Corporation Counsel). In order to protect the safety of those who join this group to promote an end to the "Rubberization" process described on this blog since 2007, names of those who tell their stories will, for now, remain anonymous if the person so desires, and Polo and I will be the gatekeepers. So if you are an ATR, or know a story involving an ATR or someone re-assigned or about to go into a 3020-a, please use the email address advocatz77@gmail.com and give us your contact information. We will protect your anonymity and hold onto your privacy. FAITH When we walk to the edge of all the light we have and take the step into the darkness of the unknown, we must believe that one of two things will happen. There will be something solid for us to stand on or we will be taught to fly. We have forty million reasons for failure but not a single excuse. The New York City Board of Education decided in 2002 to rid the public school system of staff who interfered with their takeover and control. The criteria for a "good teacher" is now, more often than not, a "silent teacher", a person who never asks questions, is younger than 40, is making a salary below $50,000, does not care about kids and what they learn, or whether or not money (books, supplies, equipment, etc) is missing. When a teacher or staff member of a school dares to do the right thing and speaks out about wrong-doing - this person is often called a "whistleblower" or "flamethrower" - or, simply is not liked for any reason by the Principal/NYC personnel, suddenly he/she is accused of something by somebody ("given a label of "A", "B", "C", and so on) and whisked away to a drab room called a temporary re-assignment center or "rubber room". Members of the offices of the Special Commissioner of Investigation or the Office of Special Investigations then start work on building a case against the person to justify their being thrown in prison, declared "unfit for duty", or, as Mr. Joel Klein has said, characterized as "guilty of sexual activities and corporal punishment" against the children of New York City.The stories of the people I have met who sit every day in the 8 rubber rooms of NYC prove to me that Mr. Klein is very wrong about his assessment, and this blog is created to prove it to you. 2: Number of DOE officials earning more than $180,000 per year in 2004. 22: Number of DOE officials earning more than $180,000 per year in 2007. 5: Number of DOE public relations staffers in 2003. 23: Number of DOE public relations staffers in 2008. 944: Number of contracts approved by DOE in 2008, at a total cost of $1.9 billion. 20: Percentage of contracts that exceeded estimated cost by at least 25 percent. $67.5 million: Annual budget of Project Arts, a decade-old program that was the sole source of dedicated funding for arts education. It was eliminated in 2007. 86: Percentage of principals who said in a 2008 poll that they were unable to provide a quality education because of excessive class sizes in their schools. 100,000: Number of seats DOE plans to provide for charter school students by 2012. 25,000: Number of seats DOE plans to build under 2010 to 2014 capital plan. 66,895: Number of K-3 school-children in classes of 25 or more during the 2008-09 school year. 15,440: Average number of seats per year built during the last six years of the Rudolph Giuliani administration. 10,895: Average number of seats per year built during the first six years of the Bloomberg administration. 27.2: Percentage of newly hired teachers in 2001-02 who were Black. 14.1: Percentage of newly hired teachers in 2006-07 who were Black. 53.3: Percentage of newly hired teachers in 2001-02 who were white. 65.5: Percentage of newly hired teachers in 2006-07 who were white. 76: Percentage of white and Asian students who performed better than the average Black and Latino students in 8th grade English Language Arts (ELA) in 2003. 75: Percentage of white and Asian students who performed better than the average Black and Hispanic students in 8th grade ELA in 2008. 77: Percentage of white and Asian students who performed better than the average Black and Hispanic 8th graders in math in 2003. 81: Percentage of white and Asian students who performed better than the average Black and Hispanic 8th graders in math in 2008. 54: Percentage of New York City public school parents who disapproved of Mayor Bloomberg’s handling of education, according to a March 2009 Quinnipiac poll. 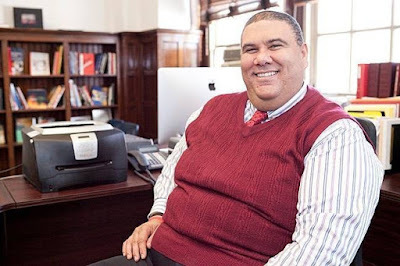 Sources: New York City Council, New York City Comptroller’s Office, New York Daily News, New York Post, Eduwonkette, Quinnipiac Institute, Black Educator, Class Size Matters, New York City Schools Under Bloomberg and Klein. ...are those individuals in New York City who are willing to whistleblow unjust, misleading, or false actions and claims of the politico-educational complex in order to bring about educational reform in favor of children of all races, intellectual ability and economic status. Whistlers ask questions that need to be asked, such as "where is the money?" and "Why does it have to be this way?" and they never give up. These people have withstood adversity and have held those who seem not to believe in honesty, integrity and compassion accountable for their actions. Congratulations, and keep up the good work! Condon "qualified" for his current post after Bloomberg lowered standards; who will leash him? After being interviewed by the school administration, the prospective teacher said: 'Let me see if I've got this right. 'You want me to go into that room with all those kids, correct their disruptive behavior, observe them for signs of abuse, monitor their dress habits, censor their T-shirt messages, and instill in them a love for learning. 'You want me to check their backpacks for weapons, wage war on drugs and sexually transmitted diseases, and raise their sense of self esteem and personal pride. 'You want me to teach them patriotism and good citizenship, sportsmanship and fair play, and how to register to vote, balance a checkbook, and apply for a job 'You want me to check their heads for lice, recognize signs of antisocial behavior, and make sure that they all pass the final exams. 'You also want me to provide them with an equal education regardless of their handicaps, and communicate regularly with their parents in English, Spanish or any other language, by letter, telephone, newsletter, and report card. 'You want me to do all this with a piece of chalk, a blackboard, a bulletinboard, a few books, a big smile, and a starting salary that qualifies me for food stamps. 'You want me to do all this and then you tell me. . . I CAN'T PRAY? Teacher, what do you make? The dinner guests were sitting around the table discussing life. One man, a CEO, decided to explain the problem with education. He argued, "What's a kid going to learn from someone who decided his best option in life was to become a teacher?" To stress his point he said to another guest; "You're a teacher, Bonnie . Be honest. What do you make?" "Well, I make kids work harder than they ever thought they could. I make a C+ feel like the Congressional Medal of Honor winner. I make kids sit through 40 minutes of class time when their parents can't make them sit for 5 without an I Pod, Game Cube or movie rental. You want to know what I make? I make them apologize and mean it. I make them have respect and take responsibility for their actions. I teach them to write and then I make them write. Keyboarding isn't everything. I make them read, read, read. I make them show all their work in math. They use their God given brain, not the man-made calculator. I make my students from other countries learn everything they need to know about English while preserving their unique cultural identity. I make my classroom a place where all my students feel safe. I make my students stand, placing their hand over their heart to say the Pledge of Allegiance to the Flag, One Nation Under God, because we live in the United States of America. Then, when people try to judge me by what I make, with me knowing money isn't everything, I can hold my head up high and pay no attention because they are ignorant. What do you make Mr. CEO? Lydia Segal's book puts the NYC, Chicago, and California Departments of Education on notice....we who have read this book know more about how the system is not there for our kids than "you" want us to know. Lydia Segal's book Battling Corruption in America's Public Schools changes the public school reform movement forever. We can no longer assume that more money allocated to our schools will "fix" the disaster that is our public school system. Lydia Segal draws on her 10 years of undercover investigation and research in over five urban school districts, including the three largest, New York City, Los Angeles, and Chicago, and the two most decentralized, Houston and Edmonton, Canada, to provide, in her new book Battling Corruption in America's Public Schools, the details of the corruption, theft, fraud, and patronage that has overrun our public school establishment for several decades. There is no question that anyone who is interested in school reform -this means anyone who pays taxes, is a parent or guardian of a child attending school and/or who works toward a goal of establishing an education system that puts children first - must read this book. Ms. Segal's research and information on the education establishment's 'dark' side outrages the reader, and incites us to demand change. Her book therefore, is much more than a book, it is a call to action. We cannot be bystanders any longer to the systemic abuse she so vividly describes, and we will never be able to listen in the same way ever again to school Principals, Superintendents, school custodians or district board members as they request more money "to help the children." The book's detailed reports on the corruption and crime in our public schools, supported by 52 pages of interview notes, references and specific examples, provide irrefutable evidence that the current failures of our nation's public schools are not due to the lack of money but the impossibility of getting the money to the children who need it and for whom the money is allocated in the first place. Recent statistics show that students of all ages are not learning what they need to know, schools are overcome with violence, teachers are demoralized, and yet billions of dollars are literally shovelled into the system every year. The New York City school system receives more than $16 billion every year; Los Angeles, $7 billion; and Chicago, $3.6 billion. Where does this money go? We have all asked this question as we have walked through school hallways dodging the paint falling off the walls and ceilings, watching our children sitting on broken chairs, using bathrooms without running water or toilet paper, and struggling to achieve their personal best without the services and resources they are supposed to have. Battling Corruption in America's Public Schools is the first book ever to systematically examine school waste and corruption and how to fight it. Ms. Segal, an undercover school investigator turned law professor, documents where the money goes, how waste and fraud embedded in the operation of large school bureaucracies siphon money from classrooms, distort educational priorities, block initiatives, and what we can do to bring badly-needed change. She describes in detail how only a small percentage of the money allocated to students in our public schools actually gets used by them due to corruption and waste, and how city school systems scoring lowest on standardized tests tend to have the biggest criminal records and most payroll padding. Coding problems, the procurement process, compartmentalization and opacity of information leave administrators with only two options: good corruption (which ultimately helps the kids) and bad corruption (which never helps anyone but the perpetrator and his/her allies and accomplices). Indeed, the system fights those who try the good corruption route. Ms. Segal argues that the problem is not usually bad people, but a bad system that focuses on process at the expense of results. Decades of rules and regulations along with layers of top-down supervision make it so hard to do business with school systems that they encourage the very fraud and waste they were designed to curb. She tells us about how the "godfathers" and "godmothers" (the school board members) obtain jobs for their "pieces" in order to protect the systemic waste and fraud from being dismantled or exposed. Fortunately, she writes, there are good people involved in the corruption as well who must violate the rules in order to get their jobs done. Nonetheless, absurdities abound: school systems following rules to save every penny spend thousands of dollars hunting down checks as small as $25; it takes so long to pay vendors for their work that some have to bribe school officials to move their checks along; caring Principals who want to fix leaky toilets may have to pay workers under the table because submitting a work order through the central office could, and often does, take years. Meanwhile, those who pilfer from classrooms get away with it because the pyramidal structure of large districts makes schools inherently difficult to oversee. What makes Battling Corruption in America's Public Schools a must-read is not only the fascinating - and depressing - details of the systemic wrong-doing but also Ms. Segal's suggestions for reform, based on the proven track records of school systems across North America that have successfully reduced waste and fraud and have pushed more resources into schools. The pathology of the corruption suggests the remedy, Ms. Segal says, which is decentralization of power into the schools and the hands of the Principals. Distilling what successful school systems have done, Segal advocates new forms of oversight that do not clog up school systems and recommends giving principals more discretion over their school budgets as well as holding them accountable for job performance. She argues for "autonomy in exchange for performance accountability" as part of a bold, far-reaching plan for reclaiming our schools. Her conclusion is logical and convincing. Everyone who reads this book will find his or her perception of public school education changed forever. We cannot accept any longer that a generation of children has been abused by a system that is so full of greed and corruption without screaming "stop!" and "Your game is up!" Lydia G. Segal is Associate Professor of Criminal Law and Public Administration at John Jay College of Criminal Justice, City University of New York. The FAMIS Portal Online Tour provides an overview and demonstration of the FAMIS Portal. Computer speakers or headphones are recommended. Choose an item of interest below, or click on the Introduction to proceed through all of the modules in sequence. Dear Betsy, I am forever indebted to you, Betsy, for your expert advice throughout a horrific ordeal. You worked tirelessly to prove my innocence in a 3020a proceeding that was instigated by a corrupt school district and fueled by lies. My proceedings ended with my complete exoneration, my record expunged and my immediate return to the classroom. We didn’t even need to file an appeal! Thank you, Betsy. I am now eligible to retire and enjoy the benefits you helped me to protect. God bless you and the work you do protecting the innocent.-Maria G. To whom this may concern, I want to recommend Betsy Combier as the best person you could have in your corner. From the first day I met Betsy I felt secure. I had the misfortune of having to go through a 3020a hearing and with help of Ms. Combier my job was secure, I don’t know where I would be without Betsy’s help and support. She is still assisting me with my federal case. I could not recommend Betsy any higher, she is a person of her word, and her expertise is important and necessary for everyone with any problem-David P. I met Betsy Combier approximately about 5 years ago, as a result of a recommendation from a colleague. Since then she has been an advocate of mine ever since, and has worked above and beyond my expectation. Betsy fights against the wrongdoing of public education officials in New York City. Throughout the extremely difficult arbitration, Betsy fought for my unalienable rights, even though my former principal did everything in her power to tarnish my name and damage my career. Betsy is not an attorney yet she has the experience and knowledge that is above and beyond that of an attorney and follows through on all issues. She is truly an angel from heaven above, and a quality public defender.-Jason R. I was charged with a 3020A in October 2016 after receiving three developing ratings in a row. I called numerous law firms as well as my union. Most people who I talked to said that I should settle because I was fighting a losing battle. A lawyer told me that anyone that says you can win a 3020A is a liar. I heard about Betsy from a teacher placed in my building who was going through the 3020A process. I hired Betsy and one of the Attorneys who works with her and her company, and won my case! Betsy saved my job and saved my life because she was emotionally supportive at a time when I needed it the most. Betsy goes above and beyond for her clients. She is readily available day and night for her clients. Betsy’s knowledge of education law is exceptional and she was a great help to my attorney. Betsy is relentless and fights hard for her clients. -Laura B.